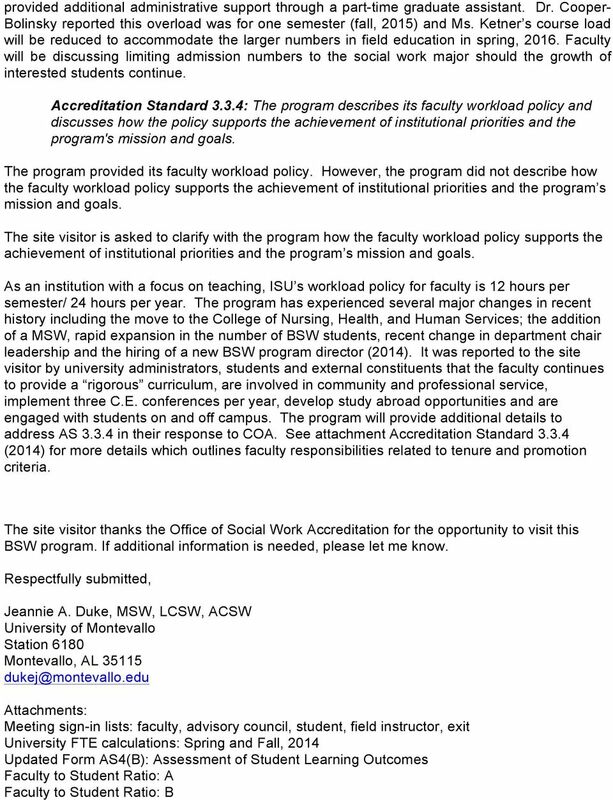 Download "Council on Social Work Education Commission on Accreditation. Site Visit Report"
Cerritos College Associate Degree Nursing Program The California Board of Registered Nursing 2010-2011 Annual School Report reflected that 61% of nursing programs in California are Associate Degree programs. CURRICULUM VITAE BETTY MORRIS-MITCHELL, Ed. 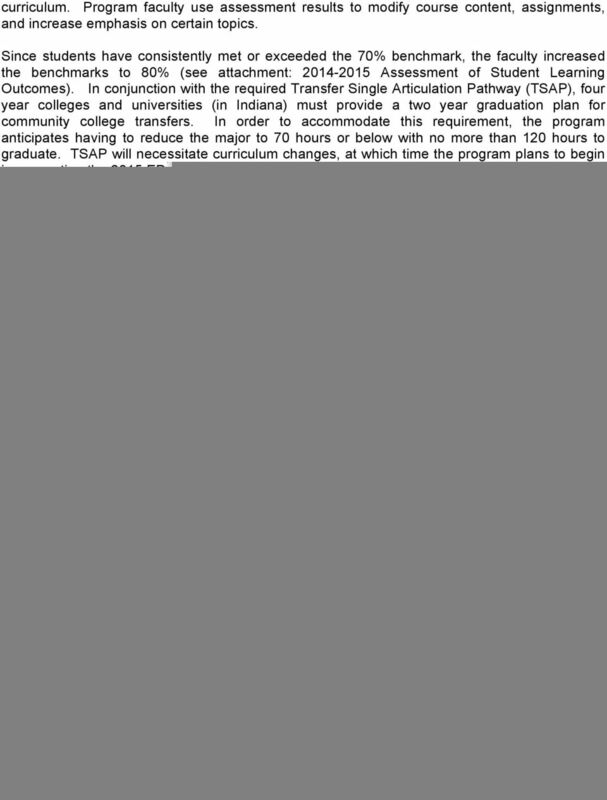 D., MPPA, MSW UNIVERSITY OF SOUTH FLORIDA SCHOOL OF SOCIAL WORK 4202 E. Fowler Avenue Tampa, Florida 33620 Office: MHC 1402 bmorrismitch@usf.edu EDUCATION Ed.D. 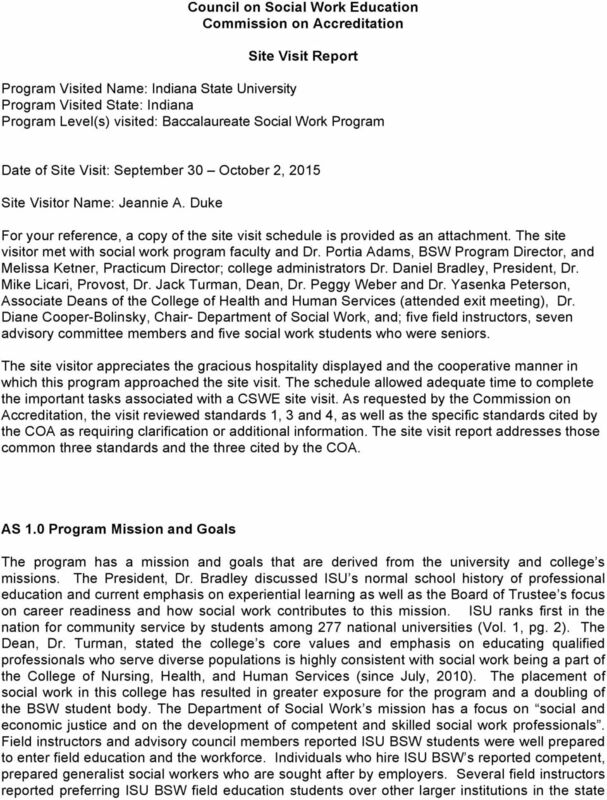 This program is found to be viable, see report for commendations, concerns, and recommendations. EXECUTIVE SEARCH PROFILE Dean of Academic Affairs THE OPPORTUNITY LIM College, the nation s only college focused exclusively on the study of business and fashion, is seeking a Dean of Academic Affairs. 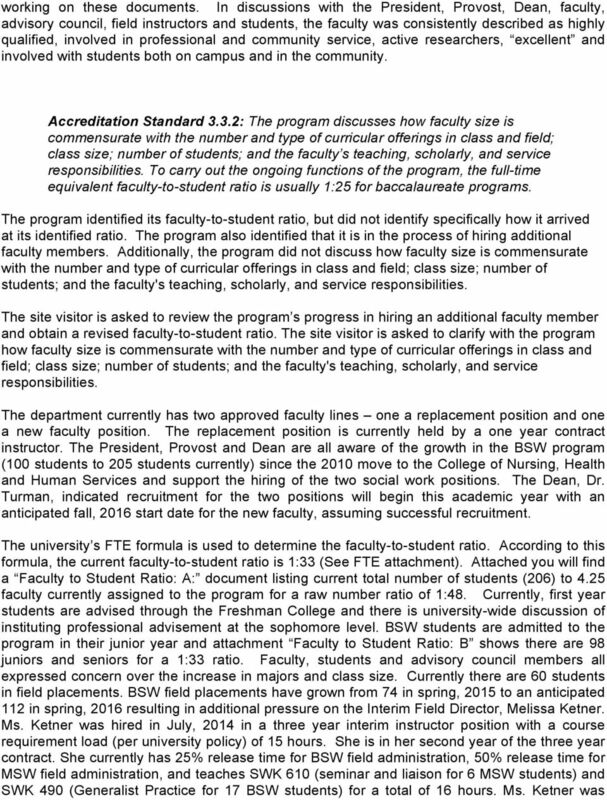 GRADUATE GROUP REVIEW PROTOCOL FOR SCHOOLS (Adopted 1.10.10) Overview of the Graduate Council of the Faculties The Graduate Council of the Faculties is advisory to the Provost and Vice Provost for Education. Q: What are the 10 core competencies? Competency 1. Identify as a professional social worker and conduct oneself accordingly. CONSULTANT RECOMMENDATION REPORT. Planning and Review Committee Consultant Recommendation. PRC Consultant(s): Dr. Amy Schlieve, Dr.